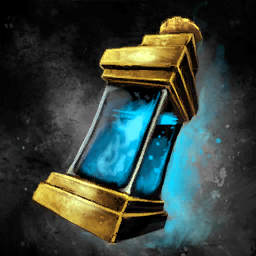 Double click to open the mystic forge. Use to construct a guild flame ram build site. This ram is more powerful than the standard flame ram and displays your guild emblem. Range 360. Requires 40 supply to complete. Use to construct a guild arrow cart build site. It is more powerful than a standard arrow cart and displays your guild emblem. Range 2,500. Requires 40 supply to complete. +10% damage vs. stunned or knocked down foes. A recipe to make a Wanderer's Exalted Coat. Double-click to identify a Common, Uncommon or Rare Dye from the Red spectrum.